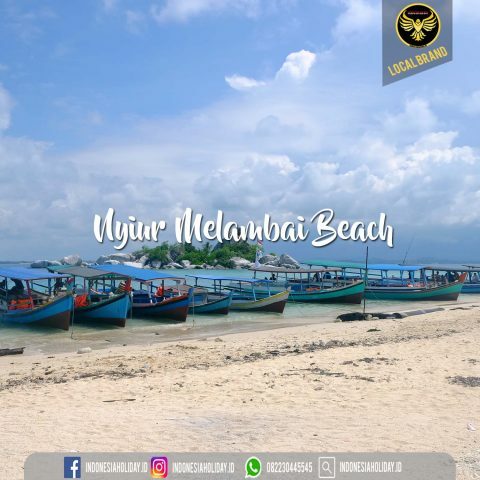 Punai Beach, Belitung is one of the beaches located at the southern tip of Belitung Island and precisely in Tanjung Kelumpang Village, Simpang Pesak Subdistrict, East Belitung Regency, Bangka Belitung Province. Punai Beach presents stunning natural scenery, especially at dusk. You can see the sunset panoramic sunset behind the sea. The golden yellow light illuminates the crystal clear waters add to the exoticism of Punai Beach. 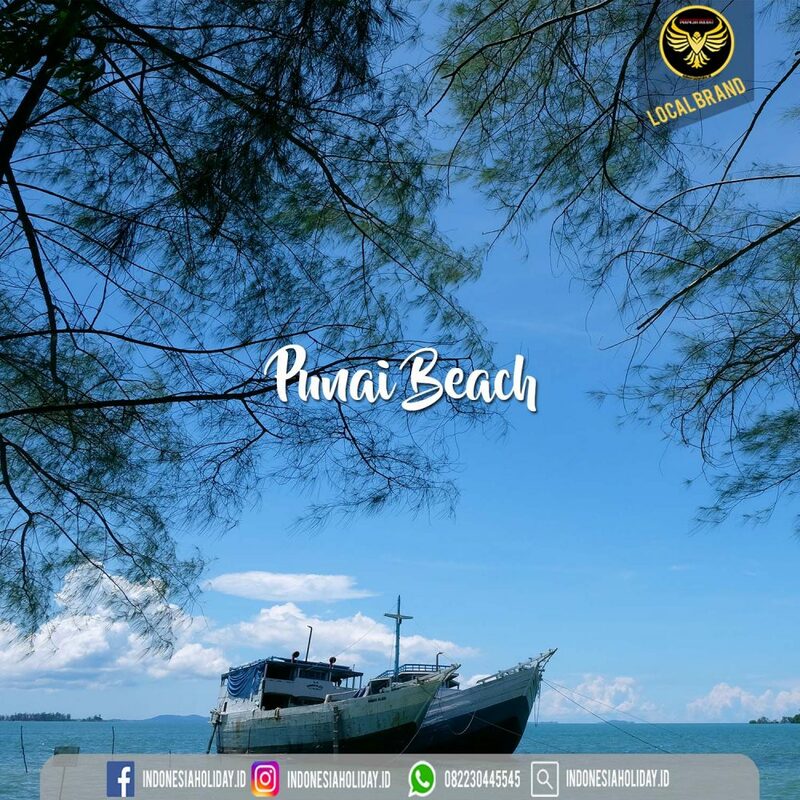 Punai Beach can be reached from downtown Tanjung Pandan which is about 93 km, which can be reached for 2 hours journey by road. Punai Beach name itself is derived from one of the bird species that many live freely in the green trees in this coastal tourist area. The name of the bird is the Pungai Bird. This very natural white sand beach has granite rocks scattered on the beach from large to small size and sea water is clear blue and cal waves along the beach. 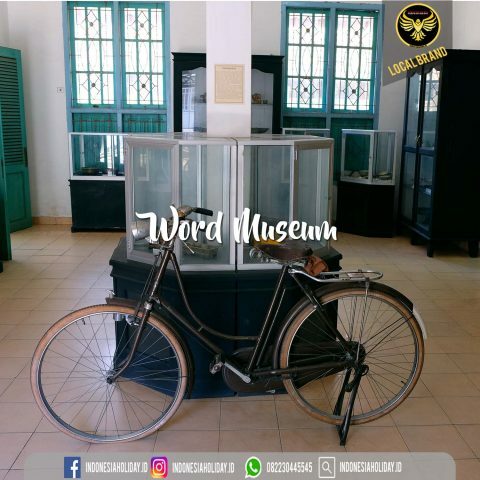 This place is not as beautiful as Tanjung Tinggi, but the atmosphere here is really quiet, except on weekends, you may be able to meet some visitors. In front of the beach there is a small island called Pulau Punai or Punai Island. If the sea water is receding, you can walk to this island, which was famous for many birds of punai. Indeed, the majority of almost all beaches on the island of Belitung has white sandy beaches and granite rocks. In addition to the sloping sand beach contours, calm waves, and clear and clean sea water makes this beach can be a place for those of you who want to swim. The natural scenery in Punai Beach is still natural and very beautiful, in the morning you can see the local fishermen who go home to sea with a variety of catches. You are fond of seafood? it’s time you hunt or buy fresh fish caught by fishermen. Of course all the fish are still fresh because the fish are the catch of fishermen at night. This beach is crowded by tourists especially on holidays.  In Belitung beach resort area, there are several cottages available. The booking price is not too expensive. The facilities provided are quite adequate, AC, Television, fan, water gallon packing plus dispenser, gas stove, rec plate to plate and glass. Given the cookware provided is complete enough, you can also cook your own seafood buy from the fisherman in the morning. To enjoy the exoticism of this Punai Beach, you will be charged an entrance fee of Rp. 5,000 / person. 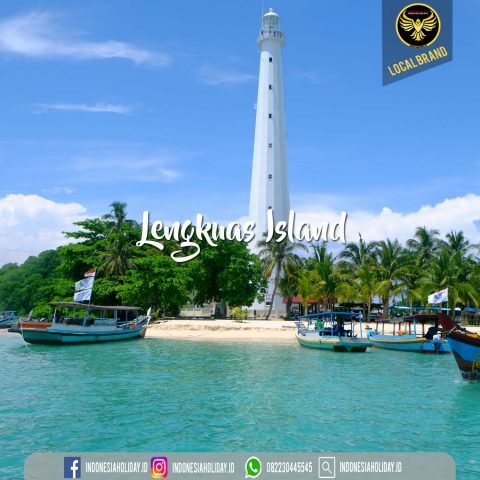 From Tanjung Pandan city center, you can use both private land and rental vehicles to Punai Beach which is about 95 km with travel time about two hours drive.